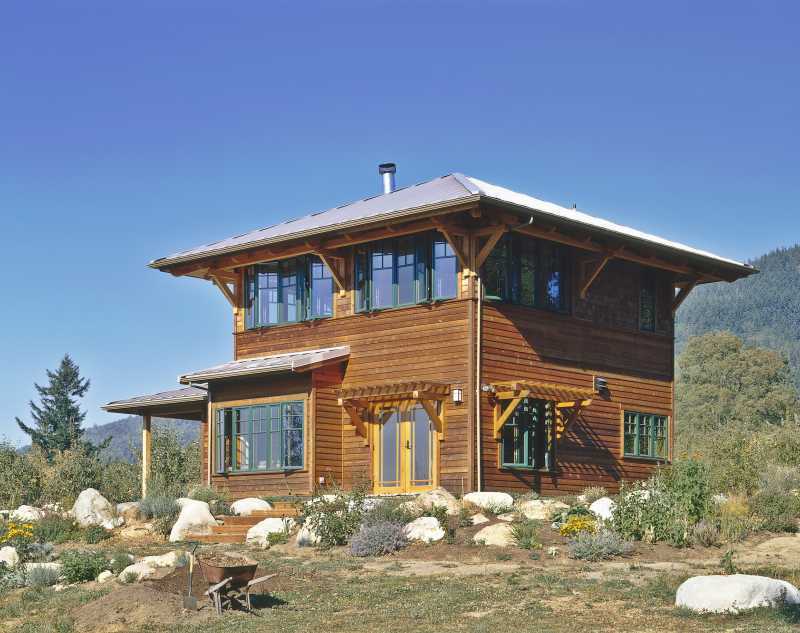 This 1600 square foot home contains 3 bedrooms and two baths. 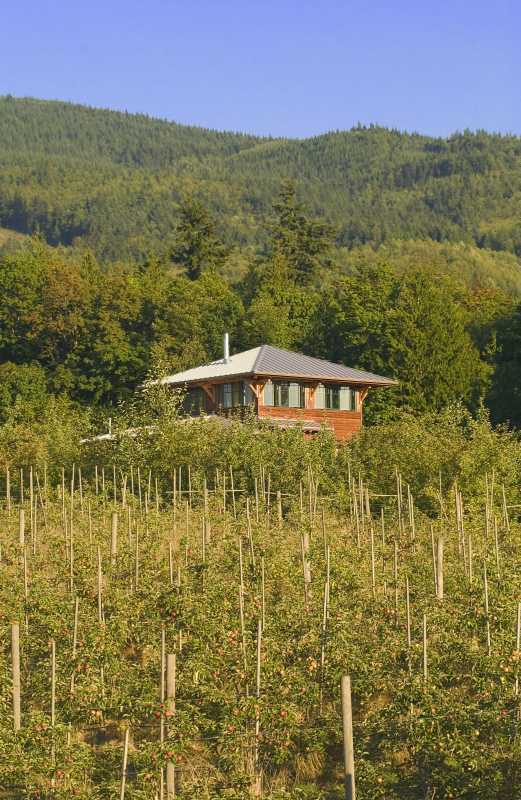 Located in the middle of an apple orchard it rises above the trees to look out over the property. 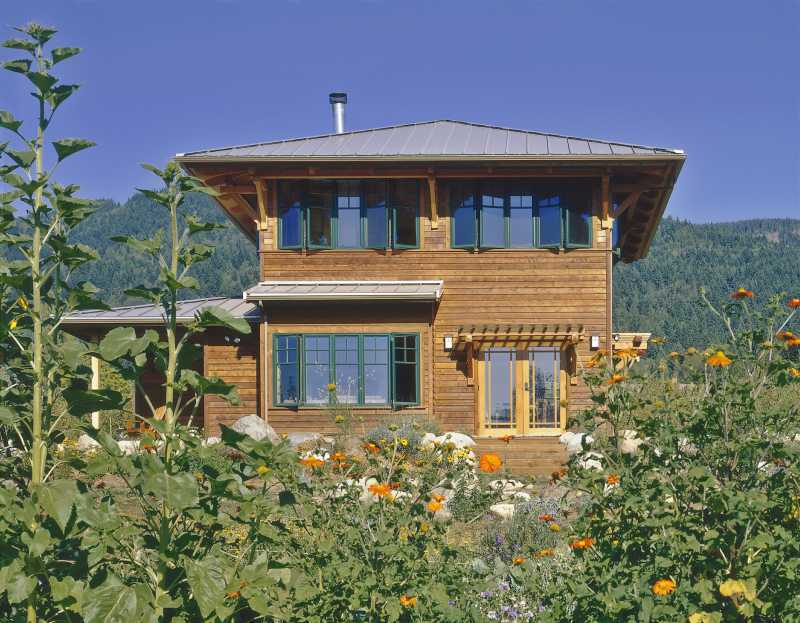 The house was designed for economy and efficiency and shows what can be done with a small footprint. 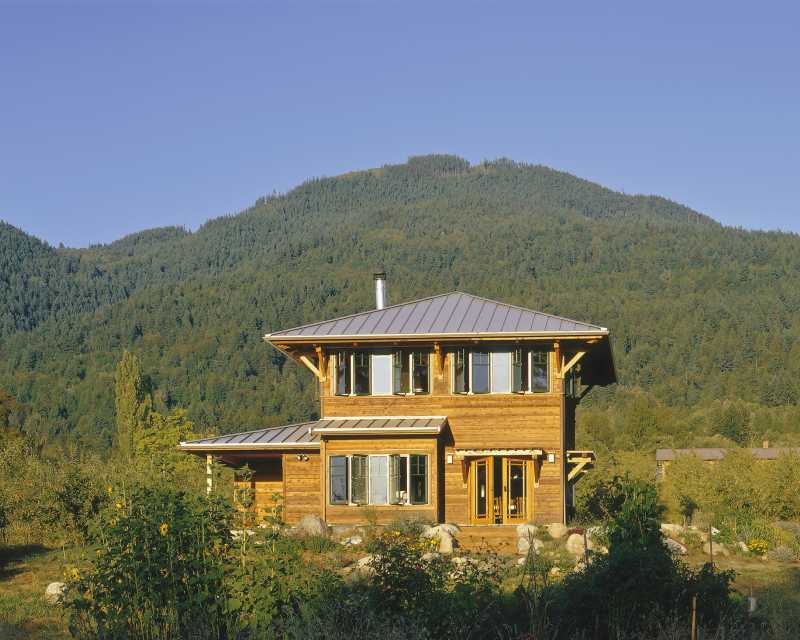 Though small in stature this simple home has generated national attention.